Christmas is fast approaching and what better way to prepare for it than to buy your gifts for friends and loved ones early. It’s best to avoid the Christmas rush, so to speak, to free yourself from stress. Gift buying has become a huge challenge in recent years what with the countless unique items available on the market. And with the internet technology in place, shopping for gifts and personal items has been made easier online. There are numerous e-commerce websites to choose from these days with some of them even offering guides and how-to tips such as F3Y.com. If you’re after one-of-a-kind presents that are not only useful but are helpful to the environment as well, we share some gift ideas worth considering. 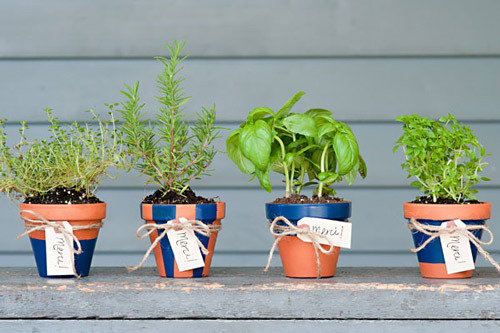 Many people today are creating pocket herb gardens in their homes and what better way to add to their collection than to give them potted herbs. When choosing a plant or herb, though, make sure that it’s one they can use every week. It has to be something useful so the person receiving it would know that you really took the time to find out their preference. If you’re undecided, however, you can choose the rosemary bushes for housewarming events. They emit a great scent when you brush against them. Other useful herbs are the Thai basil and sage which can be used in various dishes on a regular basis. Just remember to include instructions on how to keep those plants growing whether inside or outside the home. If you’re looking for lightweight and affordable presents, go for fabrics. You can get bandanas and the organic cotton shirts. 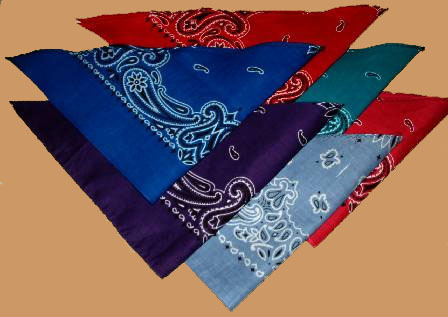 Bandanas are most ideal for the young ones but wives and moms can also make good use of them. For example, they can be used as unique dinner napkins and are less expensive than the disposable ones. They can also be used in many other ways particularly when traveling. Those on the road can always use their bandanas as dish cloths and face masks when on an open-air ride through dusty roads. Bandanas can also be used as a hair accessory, washcloth for the shower and a reusable wrap for food. Fabric shopping bags make great gifts as well. They’re reusable, can be folded and can fit in the pocket. It can hold anything from a purse, food and other grocery items. They’ll come very handy when you need to make store stops during unexpected moments. Look also for upcycled or recycled items which are often more unique and with character. Some of your choices are flattened wine bottles, bottle glasses or vases, upcycled clothes that have been made into bags or other types of clothes. There are also reused jewelry, fabrics and fleeces.